In case you had any doubts that Google’s Android operating system has been on an impressive rise, the developers of the platform released a video featuring a visual representation of that growth. From October 2008 to January 2011, the video follows Android activations around the world with a technicolor display of spurting spikes of light, that only get bigger as time goes on. Google says they now activate 350,000 Android devices each day, which comes to close to 10 million per month. Equities research analyst Shalu Saraf at Zacks Investment Research downgraded shares of Google to Neutral from Outperform. While the new growth engines of display, mobile and video appear to be on the right track, Saraf cautions against steadily growing competition, particularly in mobile, and see expenses growing in 2011. This in the face of higher earnings expectations. Google announces one state or school district has adopted its cloud offerings; and then it’s Microsoft’s turn to respond with a new list of cloud clients. 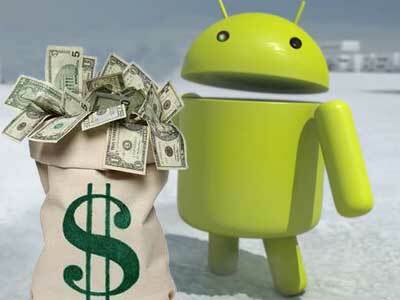 Google touts 10 million apps for education users, Microsoft touts 15 million. Microsoft recently announced that Portland Public Schools, the largest school district in the state of Oregon with more than 46,000 students, is a new cloud computing client. Oregon, if you recall, was the first state to “go Google” in April 2010. Transphorm is tackling a problem as old as the electricity distribution grid: the energy lost in converting between AC and DC. The company announced product plans and raised a $20 million Series C round of funding led by Google Ventures, including including Kleiner Perkins, Foundation Capital and Lux Capital. The result could be electric cars that drive farther without recharging, the disappearance of brick-like device chargers and solar panels that generate more electricity, according to the founders of Transphorm. Benjamin Wayne, CEO of web video startup Fliqz, attracted a lot of attention two years ago when he basically argued that that YouTube was doomed. Fast forward two years, and it’s clear that’s not the case. YouTube continues to be a hugely popular site, and is becoming increasingly important to Google, too with revenue doubling last year. Yes, Google has changed YouTube to focus more on professional content as opposed to the early “dog on skateboard” stuff. But it’s still not going anywhere. Google stock has been showing support around $599 and resistance in the $620 range. Technical indicators for the stock are bullish. For a hedged play on this stock, look at the Apr ’11 645 covered calls. A lower-cost hedged play for this stock would use a longer term call option in place of the covered call stock purchase, or going long the Jan ’12 460 calls and selling the Apr ’11 645 calls for a total debit of $159.10.